Here l2 shows the delay is larger by RC effect for very long wires. In m order to improve the speed the line is segmented into various sections and buffers are inserted in the sections as shown in figure. 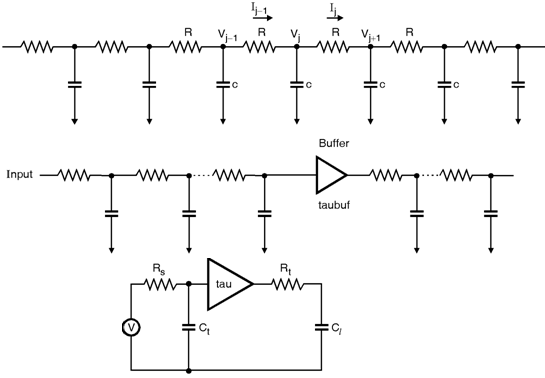 Further, the simple model is shown in figure, here, Rs is the output resistance. Cl is the receiver input capacitance. Rt and Ct are the total lumped resistance and capacitance of the wire.  is the RC delay.